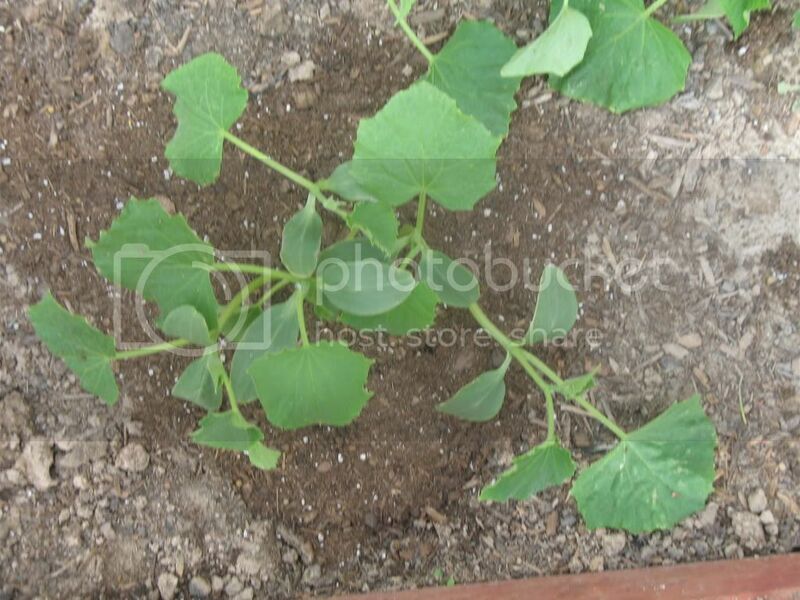 Cucumber plants are vines, though some have a more compact bush like habit. You can let the plants sprawl or you can let them run up some kind of trellis or support. In very hot weather the plants tend to do a little better when they are growing above the hot ground. I generally plant mine on the east side of a tree or structure so that they are spared the hot afternoon sun which tends to make the vines suffer. ok well it suppose get real hot next month and I will try to get them a tomato trellis. 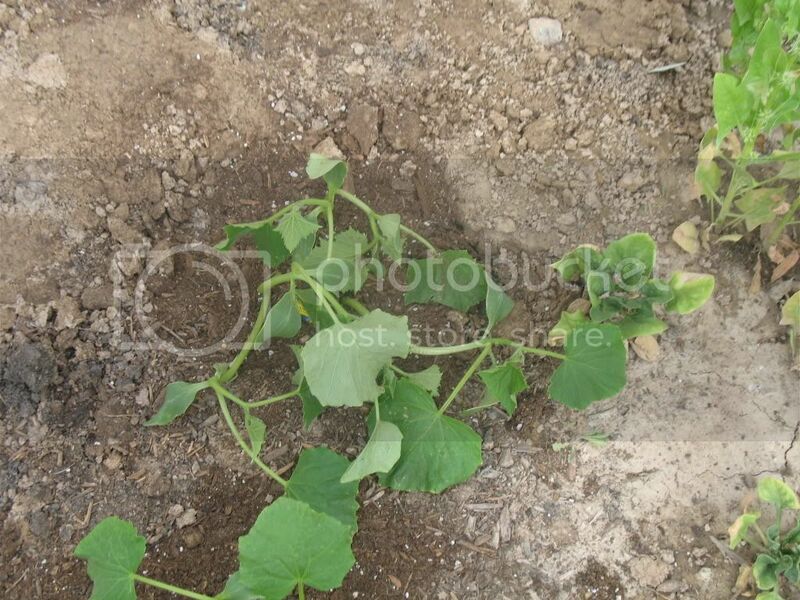 Also if the cucumbers sit on the ground they tend to rot and/or get pests, so some sort of support to get them off the ground is a good idea. I will get a few trellises today and figure it out from there. I hope they stay growing. They can just sprawl on the ground if you have the room. The vines will get up to 4 or 5 feet long. I just let mine sprawl and they do fine. We don't have as many pests here in dry Utah as they do in some of the warmer, more humid, low elevation areas. Perhaps our cold winters knock of a few pests too? I never have any trouble with cukes rotting on the ground. Cukes will climb a trellis. Suit yourself. Wow, nice garden, nice view! hendi_alex wrote: Wow, nice garden, nice view! My thoughts exactly! What a great scenery!!! Very pretty background. Garden looks good, too. I have used large tomato cages for my cucumbers and they've done very well. I can't believe that full wheel barrow load of cukes. I hope that when you say cukes - you are referring to cucumbers??? That is what I think it or they are called - that is what we call them here in England. I am so sometimes confused with the differrence in naming veg and fruit. 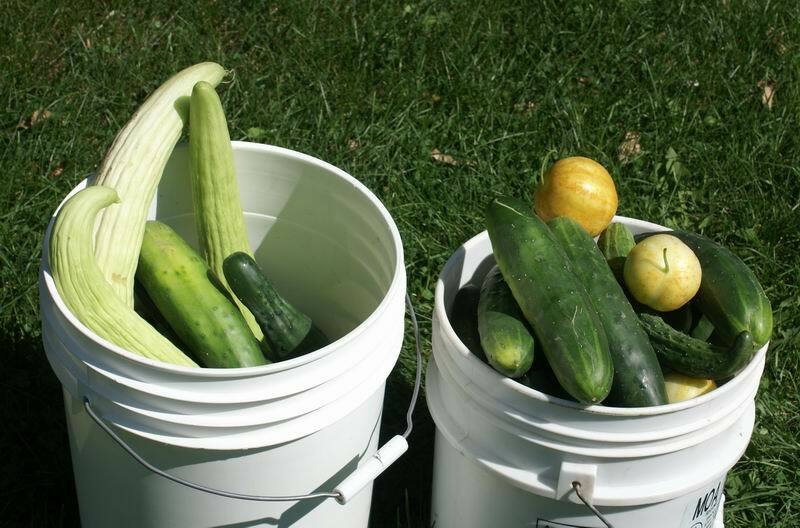 I remember one year I did cucumbers and I had so many I didn't know what to do with them all, must have been a year with a lot of bee's . This year I never got around to planting any. Wow, no cucumbers? 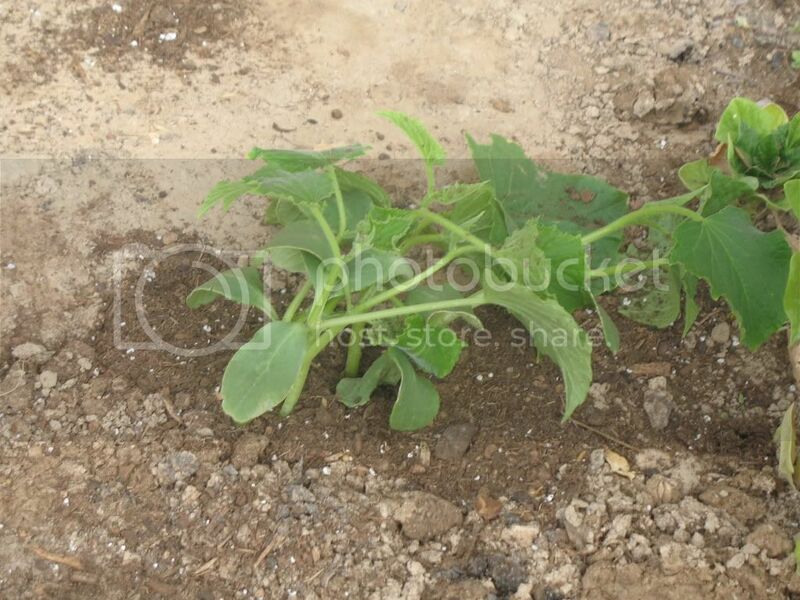 My priorities for the summer garden are #1 tomatoes, #2 cucumbers, #3 toss up between squashand egg plant. Of course got to have fresh salad greens in the spring and fall.